The map of the future is here. Hexagon Smart M.Apps are targeted, lightweight map applications that solve real business problems. They deliver a fresh and powerful way to gain insight into the shifts and transformations of our earth, cities, business, our lives. Each Hexagon Smart M.App combines multi-source content, sophisticated analytics, and tailored workflows, fused together into a dynamic user experience. Hexagon Geospatial’s M.App Portfolio offers a modern, cloud-based platform for building and using progressive geospatial applications. Through the M.App Portfolio, we have the ability to design, build, and deploy their own Hexagon Smart M.Apps, using core technologies that our customers know and trust. 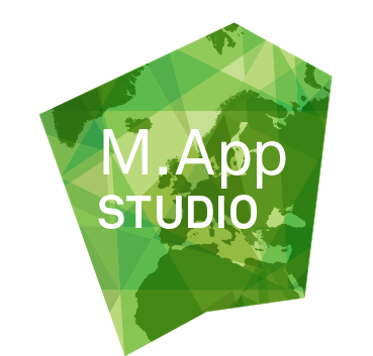 M.App Foundation – This is the hosting platform for Hexagon Smart M.Apps, and core geospatial web services used for building geospatial cloud applications. M.App Exchange – Our e-commerce store allows you to discover, purchase, and use online applications. Partners publish and manage their Hexagon Smart M.Apps in the M.App Exchange. M.App Enterprise is an on-premises platform for creating geospatial apps for your organization. M.App Enterprise stores your imagery, vector data, point clouds, workflows, analytics, and queries, all accessible in one place from an easy-to-use user interface. With the M.App Enterprise platform, you can build and deploy your own geospatial applications, called Hexagon Smart M.Apps, to solve your organization’s business problems. Hexagon Smart M.Apps are cloud-based targeted, lightweight, and dynamic apps that provide answers and present information in a visual and compelling way. Content retrieved from Hexagon Geospatial.